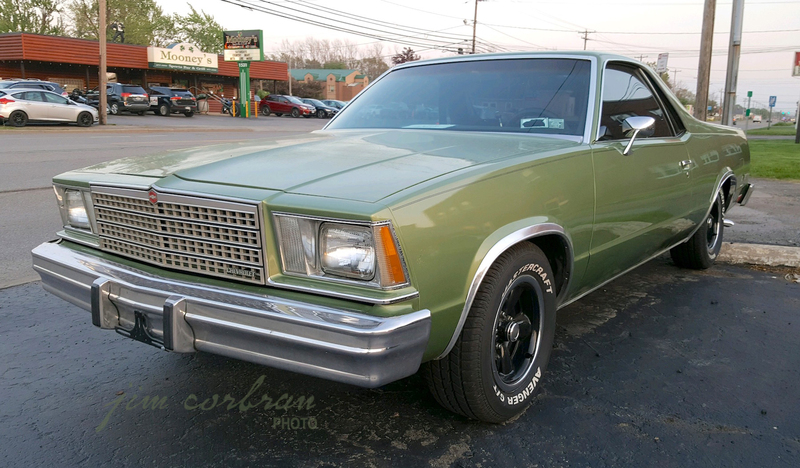 I’ve always thought of vehicles like this 1979 Chevy El Camino as open-faced station wagons. Because, basically, that’s what they are: station wagons with the rear seats (and the roof over them and the cargo area) removed. 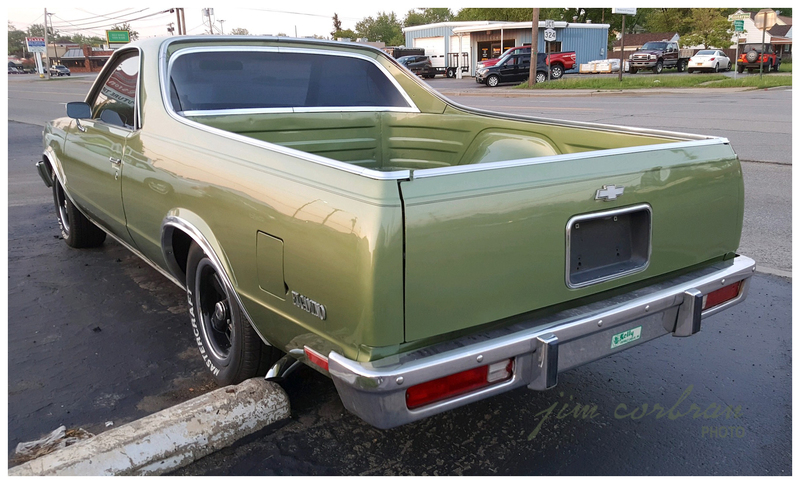 A city slicker’s pickup, for the owner who every once in a while needs to carry something that won’t quite fit into the back of a normal station wagon, but who still likes driving a car as opposed to driving a huge pickup truck around all of the time for no good reason. (Who does that? 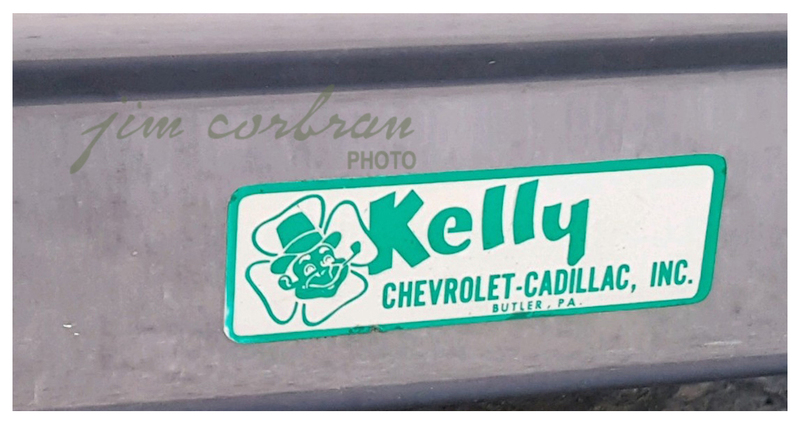 Lol…) This green Elky can (probably) be seen on a certain used car lot in the Kenmore/Tonawanda area, still wearing an old dealer sticker on the rear bumper (bottom photo).